This book contains the plan. It provides my personal financial challenges and victories. It’s easy to read, inspirational, and is based on proven financial strategies. Achieving financial freedom cannot be accomplished overnight. It took time to get to this point and it will take time to get past this point. It will take hard work. But you can do it. Just like I did. 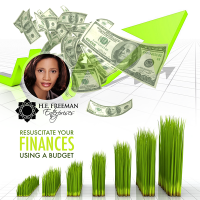 In RESUSCITATE YOUR FINANCES USING A BUDGET AUDIO CD, Harrine Freeman provides advice that has helped thousands of people. This audio CD provides easy ways to manage your finances to help track your spending. 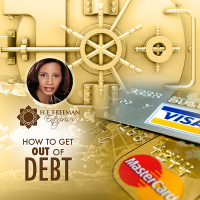 The audio CD provides guidelines on how to spend less than you earn to reduce going into debt and experiencing a financial crisis. Harrine recommends starting with the audio CD first. 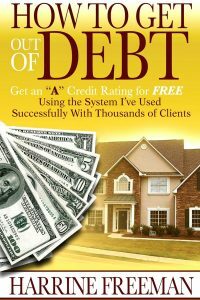 Harrine’s audio CD, How to Eliminate Debt, provides proven strategies that teach you how to pay off debt and live a debt free life. 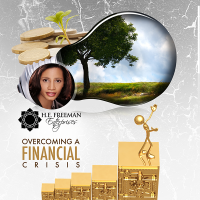 Harrine’s audio CD, Overcoming a Financial Crisis, teaches you effective strategies on how to overcome any financial crisis and provides step-by-step instructions on how to prevent future crises. 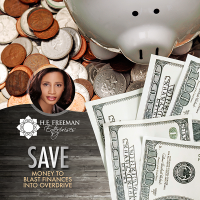 In this audio CD, Harrine provides tips for anyone who is currently saving, is a former saver or wants to become a saver. No matter you income level or age, this audio CD will show you that you can start at any time and still achieve your financial goals.